Scott wants term limits for members of Congress: 12 years and no more in an entrenched system where power is determined almost entirely by longevity. Gov. Rick Scott's first policy idea as a U.S. Senate candidate won't happen and most of his fellow Republicans don't support it. But it's a surefire applause line at political rallies. "In Washington, they say this can't be done. That's nonsense," a relaxed-looking Scott says in his first campaign TV ad, standing before an outline of the U.S. with a red felt tip pen in his hand. "We don't work for them. They work for us." It sounds good, but it's almost impossible. Scott, 65, has seized on a popular issue in a race in which his opponent, Democrat Bill Nelson, 75, is a veteran of three terms in the Senate who was first elected to the Florida Legislature in 1972, the year that President Richard Nixon won re-election. There’s a reason why term limits don’t exist for Congress. It requires an amendment to the U.S. Constitution, an enormous political undertaking that would require the support of two-thirds of members of Congress followed by three-fourths of the states. "Scott is running on something that's popular, but is almost impossible to make happen," said Aubrey Jewett, a political scientist at the University of Central Florida. "It's a symbolic thing, and he's about 20 years late." Term limit proposals swept the country more than two decades ago. Florida voters in 1992 voted to impose eight-year term limits on all state legislators and Cabinet members. The change created a revolving-door Legislature in which many House members spend years jockeying for Senate seats, and critics say term limits have made lobbyists and staff members more powerful. Supporters of Florida's "Eight is Enough" term limit law wanted it to apply to Congress, too. But the U.S. Supreme Court ruled in 1995 that Florida and every other state with term limits could not pass state laws that alter the qualifications of members of Congress. Scott's fellow Republicans are careful not to criticize the idea but are not enthusiastic and raised several concerns. "If it was on the ballot or a vote up here, I would vote for it," said Sen. Marco Rubio, who has signed term-limit pledges as a candidate. "But it would have to apply to every state. I wouldn't want to unilaterally disarm Florida." Rep. Mario Diaz-Balart, R-Miami, who's in his eighth congressional term after 14 years in the Legislature, said steady turnover in the delegation ranks has effectively brought term limits. This year alone, four members are retiring or running for another office. The 27-member delegation as a whole had trended toward newer members who will have to spend years climbing the ranks. "I respectfully believe that our founders got it right. Unfortunately there are no term limits for lobbyists or for staff," Diaz-Balart said. A member of the Appropriations Committee, he argued that seniority has helped the state get federal money. "I'm not going to be critical of what he wants to do," Diaz-Balart said of Scott. But he quickly added, "One could argue if there were term limits there would be no seniority. But is that a good thing, for the country to have no experience?" Rep. Vern Buchanan of Sarasota is in his sixth term, which would be his last under Scott's plan. He laughed that he'd have another 12 years because the clock would reset. "Politically, it works well," Buchanan said. "You do want some people up here that have got some background and have been here for a while." Only a handful of members of Florida's congressional delegation have supported U.S. Term Limits' pledge to limit members' time in office. They are Rubio and Reps. Matt Gaetz, Ron DeSantis, Tom Rooney and Brian Mast. All are Republicans. Rep. Peter King, an outspoken Republican from New York who is in his 13th term, called term limits "anti-democratic." "People should have the right to vote for anyone they want to. Also, you need experience, people with institutional knowledge," King said. He acknowledged the upside of supporting the issue to stoke anti-Washington feelings. "But to me what you're doing is telling people they aren't smart enough to vote for the people they want to," King said. Scott has an ally in Rep. Francis Rooney, R-Naples, who's in his first term. Rooney filed legislation that he says would effectively bring term limits without having to amend the Constitution. After lawmakers reach 12 years, their annual salary would drop to $1. Rank-and-file members earn $174,000. 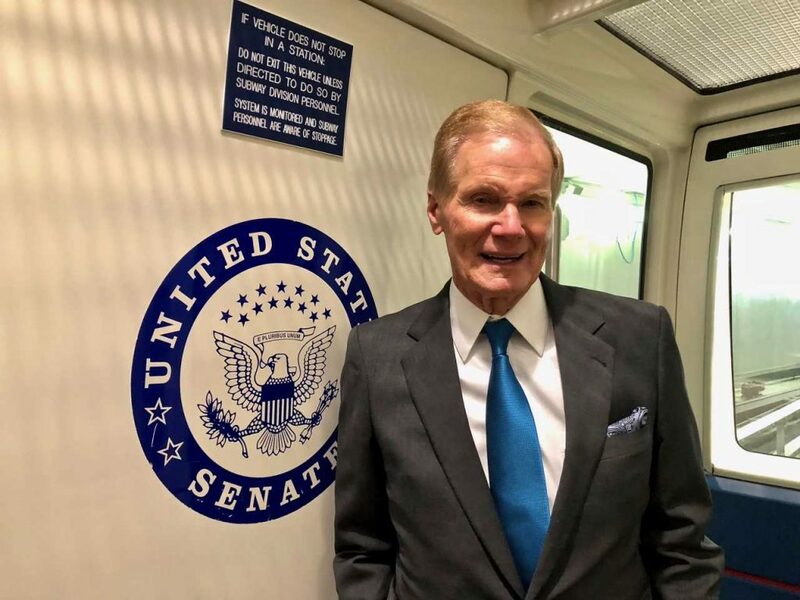 "When my home state of Florida passed term limits, 76 percent of Sunshine State voters voted in favor," Rooney said in a statement announcing his long-shot Thomas Jefferson Public Service Act. "In fact, Florida is one of 15 states to currently have legislative term limits." Rooney cited a nationwide poll by McLaughlin & Associates that found that 82 percent of voters support congressional term limits, including 89 percent of Republicans, 83 percent of independents and 76 percent of Democrats. Scott isn't shy about asking career politicians in Washington to help him. 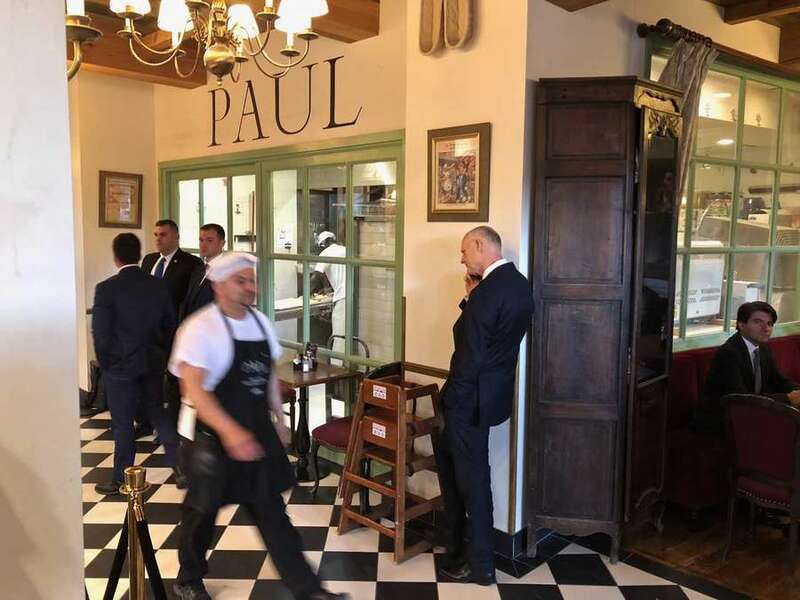 He held a fund-raiser in downtown Washington D.C. last week where the headliner was Senate Majority Leader Mitch McConnell, R-Ky. who has held office for 33 years. Scott's proposal, however unrealistic, amplifies a main attack line he and the GOP use against Nelson. "This concept of career politicians has got to stop," Scott said at his campaign kickoff on April 9 in Orlando. "He can talk all he wants about that," Nelson responded in an interview. "I'm going to talk about my priorities, which are making sure Medicare and Medicaid are not savaged, making sure there is not oil drilling off the coast and making sure that we have new high paying jobs for the new economy." He added: "You talk to anybody in the state Legislature and they say what has happened in term limits is there is so much turnover that it's the legislative staff and especially the lobbyists that run the show in Tallahassee." Scott is sure to keep talking about term limits for Congress, even though it won't happen. "It's an extremely popular idea," said Tom Piccolo, a Florida political consultant who advises Republicans and does polling on their behalf. "It's off the charts popular." Times staff writer Steve Contorno contributed to this report. Contact Steve Bousquet at [email protected] and follow @stevebousquet.